If you are considering a New or Used Car, Truck, or SUV, you wouldn’t be in the minority if you find yourself asking the big question of whether or not you can afford it. While buying a new or used vehicle is a big decision, it is also one of life’s most exciting ones. At Naples Chrysler Dodge Jeep Ram, not only will our inventory include an ideal ride for you, but the friendly experts in our finance center are in place for one reason – to help make you confident and comfortable as you make your way to a new vehicle. There are a number of ways we can help you through the entire process. If you keep reading, you’ll learn more about how to get back on the road in style sooner than later. We’ll talk with you about everything from credit scores and reports to desirable interest rates, leasing, and financing. Visit your Naples car dealership today and let us work with you on all your auto financing needs. When drivers opt to lease a vehicle, they do so knowing they will eventually turn it back in after an agreed upon length of time. For many in the market for a new or used vehicle, though, the preferred route is eventual ownership. If that’s your preference, financing the vehicle may well be a good option. Financing a vehicle is designed for you to make payments over a certain length of time. At the end of that time, the car is paid for and is all yours. In addition, equity may have built up based on those payments. A few other perks of the financing route are that you can customize the vehicle to your liking and never worry about being limited as to the number of miles you put on the car. One thing to keep in mind is that when financing a vehicle, your monthly payment will likely be higher than if you were leasing the vehicle. This is simply because you would be paying for the vehicle fully over the course of your contract. 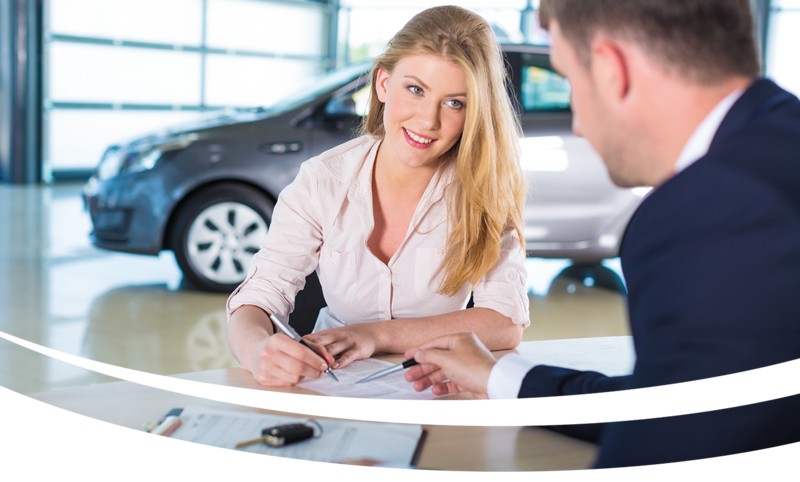 For much more information about auto financing, visit the friendly, professional team that work at the most preferred dealership of all Naples, FL car dealerships, Naples CDJR. Many times, those in the market for a new vehicle prefer the idea of no long-term commitment. Unlike financing a vehicle towards ultimate ownership, others like the lease option, which affords shoppers the opportunity to enjoy a vehicle for a designated amount of time before turning it back in. In fewer words, think of it as a long rental. There are a number of ways a car lease differs from a car loan. Leases typically result in lower monthly payments and usually require time commitments shorter than if you were going the car loan route. As car leases include limitations on the number of miles drivers can put on the vehicle, consider your anticipated usage before going the lease route. If you’re the standard, day-to-day driver around Naples and nearby areas, a lease could be a great option. At Naples Chrysler Dodge Jeep Ram, our redesigned finance center is an ideal place to start the leasing process or just learn more about the options that will keep you in accordance with any budget. A great way to get the car shopping experience underway is to visit Naples Chrysler Dodge Jeep Ram Online Showroom! At our finance center you will find a wealth of information about all our financial services, which will provide you with a better idea of which route you would like to take. You can also take a look at our incredible inventory of Pre-Owned and Certified Pre-Owned Vehicles, as well as get information about all our other products and services. In addition, a convenient Online Calculator is right there for you to get an instant loan rate. Speaking of loans, at your Naples car dealership, bad or even no credit doesn’t disqualify you from getting a loan. From the comfort of your own home or office, you have nothing to lose by checking us out online. Chances are, you will be pleasantly surprised at the many different and affordable ways there are to get you in a terrific vehicle. At Naples Chrysler Dodge Jeep Ram, we understand that the car-buying experience is a big one for a lot of reasons. That is why we feature different teams of professionals to help with every aspect of that experience. When you visit our Finance Center, you will find a wonderful resource for all things finance related. The one thing you will not find with us is pressure. The finance center staff is in place to enhance the experience, not impede any progress. Visit Naples Chrysler Dodge Jeep Ram today. You will be pleasantly surprised at the number of ways you can get back out on the road quicker and more affordably.